One of my objectives in ToraHighlights is to focus on aspects of some of the weekly Torah reading that I had not considered in other contexts. This weeks portion tells of the beginning of Abraham and Sarah’s Covenant with God. Melchizedek offers invaluable assistance.Melchizedek is one of the characters to whom I have given little thought for many years. As we welcome the final Shabbat that we will spend this year with our friends and hosts, Pastor Ursula Sieg and her husband Pastor Martin Pommerening, it feels appropriate to share this reflection in honor of those who like them are spiritual descendants of Melchizedek. They are not Jewish, but they do so much to promote and enhance Jewish understanding. As Melchizedek sustained Abraham, Ursula and Martin sustain Vickie and me in all of the activities we do in Germany. 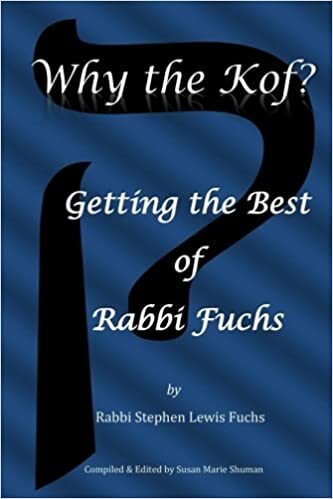 On a hot spring day in Los Angeles 45 years ago, ten other rabbinical students and I gasped with horror when we opened our final exams for our Bachelor of Hebrew Letters degree in Bible. Why? Our beloved Professor of Bible, Samson H. Levey, z’l, was requiring us to translate chapter 14, the most complex Hebrew passage in Genesis. According to the Zohar’s (Cabalistic Midrash) comment on Genesis 14, Melchizedek blessed Abram with the letter ה (‘Heh‘) that changed his name from Abram to Abraham and made him a ”father of nations.” Of course Salem is ancient Jerusalem, and El Elyon, scholars say, was likely the chief pagan deity of that area. But El Elyon becomes one of the names Jews use for the one true God. In fact we call God, El Elyon, in the first benediction of the Amida prayer in our liturgy. What’s in this story for us? Melchizedek is the prototype of the non-Jew who practices the Covenantal values of Justice and righteousness (Melchizedek means, “King of righteousness”) that Abraham represents. We have much in common with people like this, and we should seize every opportunity to join hands and hearts with them in efforts to make our world a better place.